No matter how much you subscribe to the photographer first, gear second ideology, a game changing camera will always turn your head. The Canon 5D Mark II was such a camera. 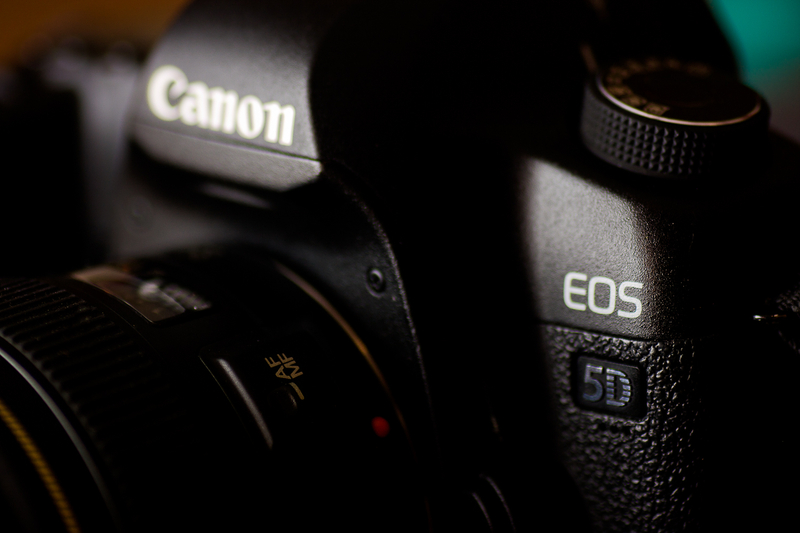 The Canon 5D Mark III will follow proudly in its footsteps. So the rumor mill is churning so fast that we may need to replace it once this hot body is finally announced. The announcement is imminent at this point since Nikon has won the space-race of more pixels. But, Canon, in maybe its strongest move in years, has pushed back at the lemmings and responded with quality and not quantity of pixels matter. Thank you for being a professionally-minded company Canon. You see, the 21 MP Canon 5D MKII is really a great camera in terms of image quality – IQ. Yes, there’s ample space in each pixel to keep noise to a minimum at astronomical ISO settings like 6400. Seriously, when’s the last time you shot at ISO 6400? Are you waiting with bated breath to start shooting at ISO 12800 or 25600? I’m not. But then again, I’m crazy. So maybe Canon should shrink the pixel size and try and have fit 36.3 million on one 36×24 mm sensor. Why? So we can have 6X9 foot prints (viewable and clean from 10 inches) of the neighbors dog on our wall? Canon’s not doing this. They’ve talked to real people who know number of pixels is way less important than pixel size. Talk to Ken Rockwell if you really want to get fired up! – Thanks for keeping it real Ken. So what will the 5D MK III be? 22 MP – yup – can you say if it ain’t baroque, don’t fix it. Great resolution and low noise is happening with these specs on the MK II, I think it will only get better! Awesome! 61 point focus – this is THE big step. Autofocus is tricky business. Lots of algorithms and code and mechanisms. The biggest issue with the 5D occurred when professionals wanted to take this landscape or studio camera and take it to the track. It was quick enough and fast enough. MKIII is. Envision the 1D MK IV in the 5D MK III – cool huh? Battery pack – yes, this is a big question for professionals – do we need to invest in yet another battery… survey says, “no” I hope. Yay! ISO – pushed a stop or so, why, well they want to show off the new sensor. No seriously, ISO 6400 will be even cleaner. External Flash Control – This is a biggie! Did Canon add this feature to the next gen? It had some room for improvement, but great for the studio. I’m pretty sure they did (although still via line of sight, not radio). In camera functions – You know those treatments/postprocessing add-on’s on the Canon 60D – They’ll be here. Weather sealing -Ah, the big question. I think many of us really bang up our gear and like to take it out on long hikes/climbs/adventures. I hope the seals here are as good as the MK II – those are pretty darn great in my opinion. What’s missing and worth the weight? 1. On board GPS. These tiny things are in watches and cell phones now – seriously, quit making us buy add-on equipment. sample image from Canon - copyright Canon - click to enlarge. .. oh wait, that’s from March 2003, copyright Canon – from the Canon 10D sample images… yup. That’s a ten year old digital pic. Go ahead, click on it – look at it big. Do you really need a new camera, or just some inspiration.